When making pumpkin pie, there’s usually a bit of extra pumpkin filling (if not, just hold back a bit). Bake it in a lightly greased ramekin (or two), along with the pie. It should be taken out about 10 minutes earlier than when the pie is ready to come out. Toast ¼ c of pecans per parfait, and chop. Using some of the whipped cream that you’ll be serving with the pie, assemble the parfait(s). Put half of the pecans in the bottom of a pretty glass. Scoop up some of the pumpkin, and spoon enough into the glass that it fills it a quarter of the way. Follow this with an equal amount of whipped cream and another of pumpkin, smoothing the tops of each layer before adding the next. Cap off the second layer of pumpkin with a final cap of whipping cream. It should be slightly mounded. 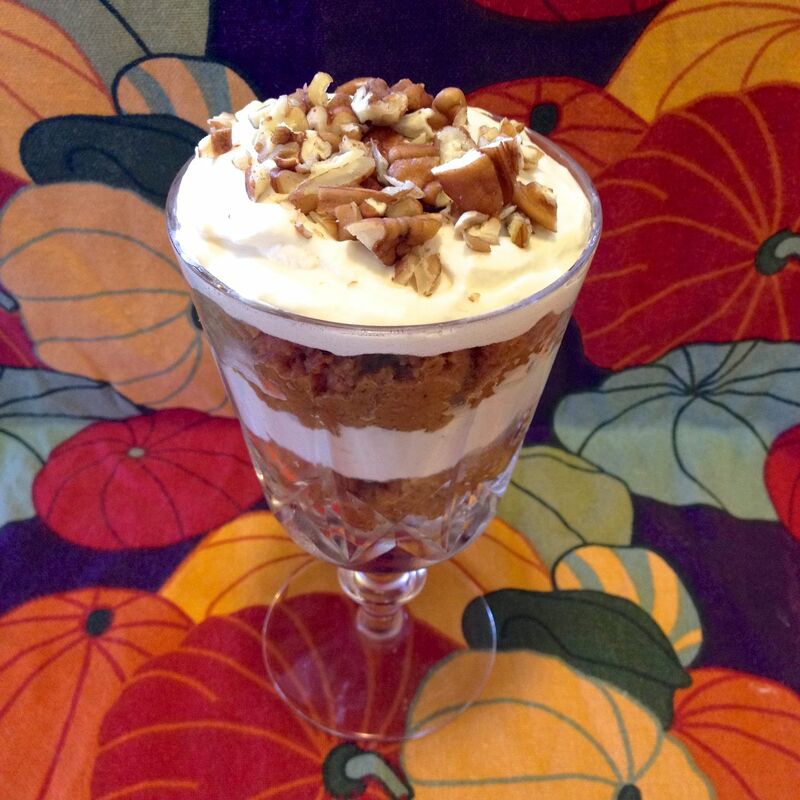 Top the parfait with the remaining pecans. These make a perfect dessert for those guests that are eating Gluten Free.